One of the great things about our local music scene is our local casino and the acts it brings in. Of course, the intent is to get people in for the music and keep them for the gaming. But you can’t argue with that strategy when they bring in a New Orleans music legend for a three-night stand of free shows at an intimate little lounge on the edge of the noisy gaming floor. Allen Toussaint — the great R&B writer, producer, arranger and most recently performer — played a marvelous set on Tuesday night. A gentle, delightful man with a sparkle in his eyes (and his tie and his shoes), Toussaint nodded hello as he walked past me and onto the stage. Sitting hard to his right at the edge of the stage, I watched over Toussaint’s shoulder as he gracefully and seemingly effortlessly worked the piano. Toussaint’s 90-minute show was a delightful trip through his life and career. He sat down and started with a couple of instrumentals. He followed with Chuck Berry’s “School Days,” a song he said he wished he’d written. He then swung into a medley of some of his tunes that were covered by other artists. I’m late to the party when it comes to Allen Toussaint and all the tunes he’s written and performed. Most of what I know and have heard has come from Dan over at Home of the Groove, a terrific place to learn about New Orleans music. In fact, Dan wrote about Toussaint just last month. Much of the rest of what I know and have heard has come from Larry over at Funky 16 Corners. A year ago, Larry laid down several Toussaint-produced tunes in his NOLA Soul Pt. 1 mix. Gents, thank you. If you’re new to Toussaint as I was, enjoy these tunes. 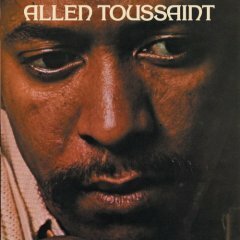 “Everything I Do Gonna Be Funky,” Allen Toussaint, from “Allen Toussaint,” 1971. And these three tunes, all written by Toussaint and performed here by him on Tuesday night, yet among those more memorably covered by others. “Lipstick Traces (On a Cigarette),” the Amazing Rhythm Aces, from “The Amazing Rhythm Aces,” 1979. 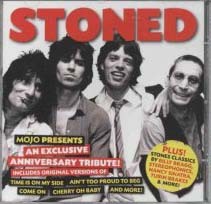 Done first by Benny Spellman in 1962 and also covered by the O’Jays. One of my favorite songs. “Fortune Teller,” Benny Spellman, 1962, from “Mojo Presents Stoned,” a compilation CD distributed with Mojo magazine last September. It’s the original B side to “Lipstick Traces,” yet probably is far better known today, thanks to covers by the Rolling Stones, the Who, the Hollies, the Tony Jackson Group and most recently by Robert Plant and Alison Krauss on their “Raising Sand” album, released last year. “A Certain Girl,” Warren Zevon, from “Bad Luck Streak in Dancing School,” 1980. Done first by Ernie K-Doe, also in 1962. Great post Jeff. I wonder if he’ll be playing any of the lounges in AC. Years ago, in the lounge in Caesars Palace I got to see Sam Butera and the Aces, and then a few months later the Treniers. Did Toussaint play (or talk about) ‘Java’ or ‘Whipped Cream’. It’s weird, that of all the amazing songs he’s written, those are probably the most familiar to the general (non-record collecting) public. Indeed, I was late to the party for Toussaint as well, and I’m sorry I didn’t hear about his sooner. He is an incredible musician. Thanks for another great post, Jeff. I particularly appreciate Zevon’s “Certain Girl,” which I didn’t know was a Toussaint song. You’ve inspired me (again) to create my own post in response. Hopefully I’m not violating courtesy by mentioning this but, I’d also like to point out another postI did on drum tracks by Steve Gadd. For one, I’m proud of how it came out; for two, it was inspired by your Stanley Clarke post from a few days ago. 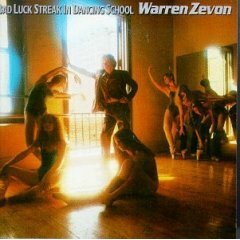 Zevon’s album “Bad Luck Streak In Dancing School” from 1980 is a vastly under-appreciated LP compared to 1978’s “Excitable Boy.” My favorite track on “Dancing School” is “Jeannie Needs A Shooter.” We played that song quite a bit in college at WSUP.